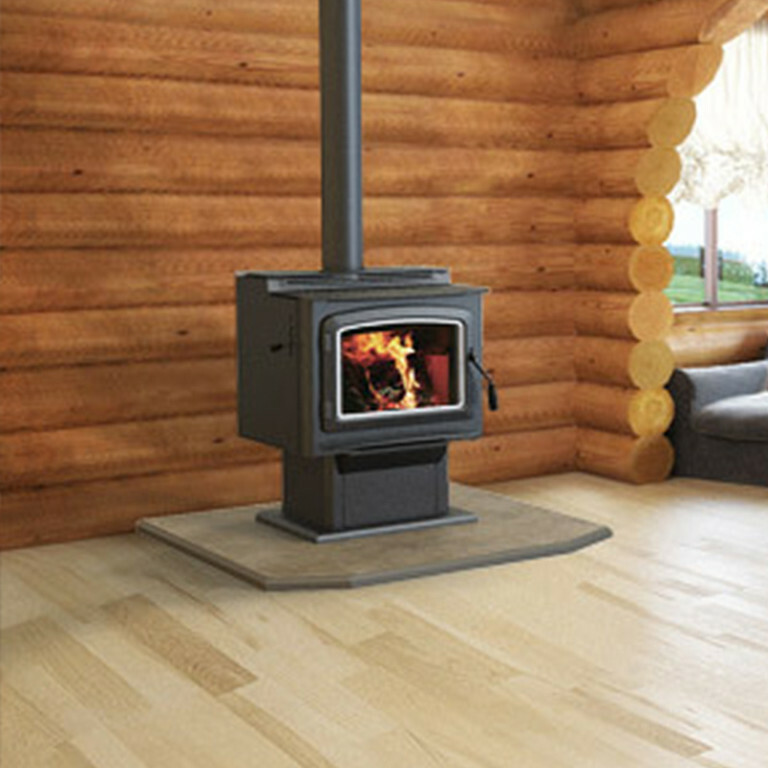 The Grandview™ Large Series of wood-burning stoves is as elegant as it is efficient. Thermal Fin Technology (TFT™) uses a cast-iron heat exchanger to keep the heat in the room and not out the chimney. Expansive, durable ceramic glass gives you unobstructed views of the fire and allows for easy heat transfer. 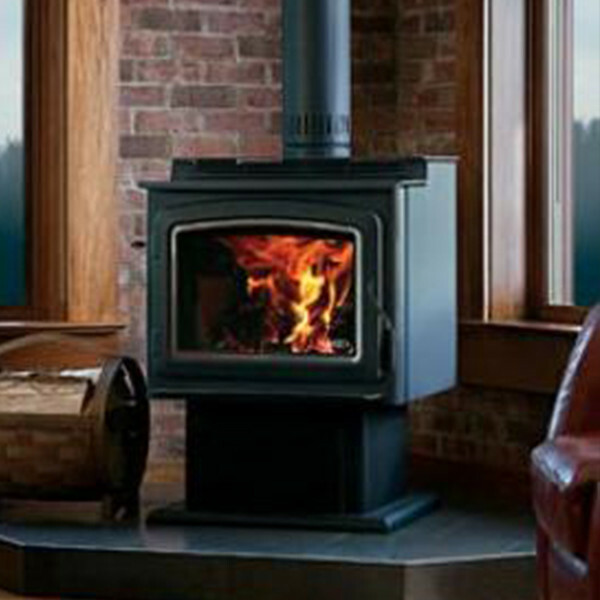 The Grandview 300 delivers the perfect amount of heat to create a cozy atmosphere. Decorative door trim in standard Black, Brushed Nickel or Nickel allow customization to your style.